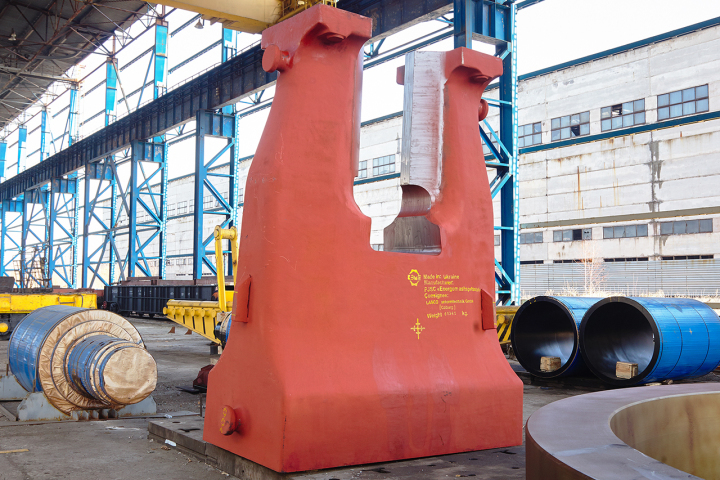 The large-size hammer housing was shipped from the production facility of PJSC “Energomashspetsstal”. The casting with the weight 61 tons is a component of press-forging equipment. The customer of the hammer housing is the German company LASCO Umformtechnik GmbH, which is engaged in the production of press-forging equipment. In conformity to the contract terms the blank had passed the complete production cycle at Energomashspetsstal. This is not the first order for the manufacture of the hammer housing, which EMSS specialists perform for the company LASCO Umformtechnik GmbH. 14 similar housings have already been sent from the production site of the enterprise to the German customer. Cooperation with this company lasts 9 years. LASCO Umformtechnik GmbH is the German manufacturer of press-forging machines, production units and automatic equipment for metal treatment under pressure and powder metallurgy. The company delivers products to industrial consumers in more than 60 countries of the world.